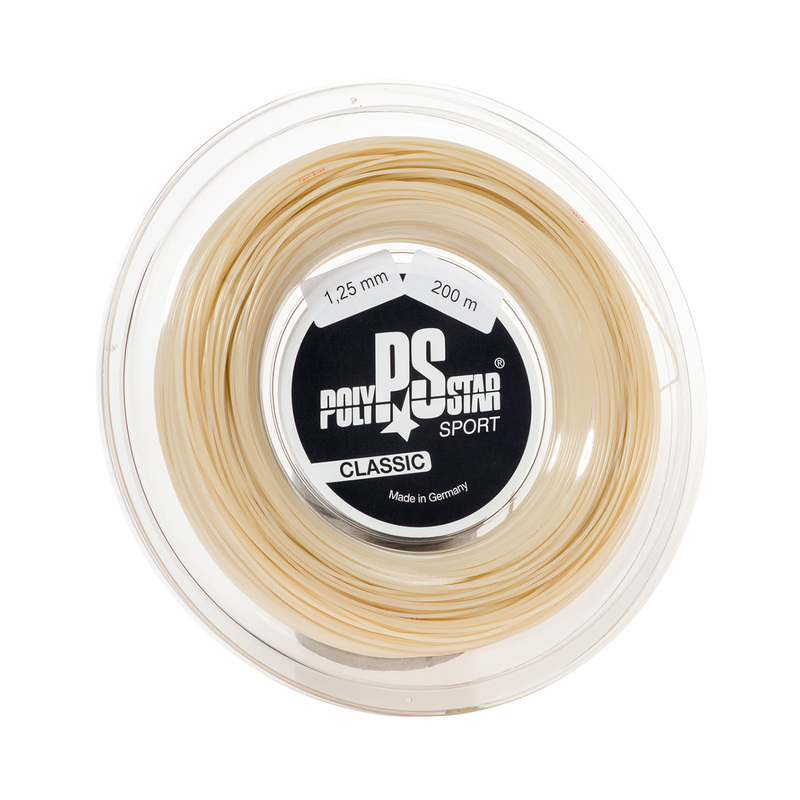 POLY STAR CLASSIC is a monofilament, co-polyester all round tennis string. Continuously improved in the last 30 years with proven performance. Weather resistant and particularly durable thanks to the special preparation process, which reduces the friction intensity at the crossing points in the stringing grid and thereby increasing the durability. The elastic characteristic of natural gut strings has been integrated into our Classic’s attributes. 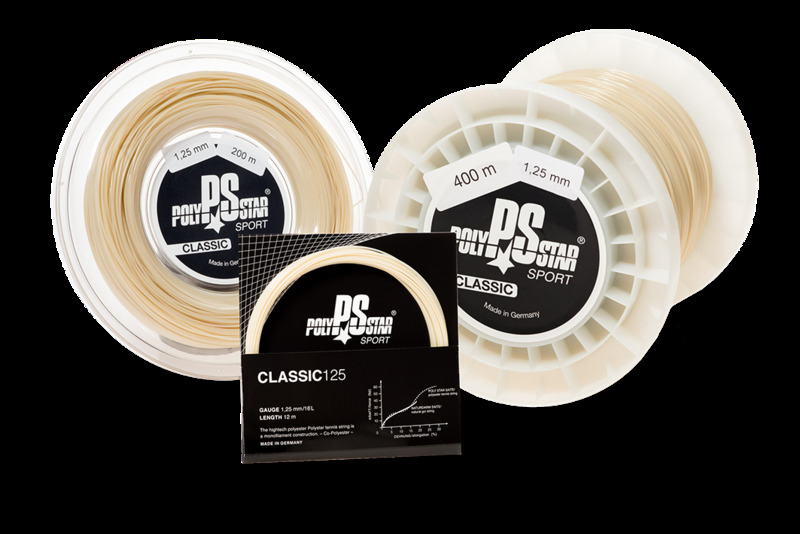 The POLY STAR CLASSIC, like all POLY STAR tennis strings are effective at minimizing elbow and wrist shock.